We are thrilled to announce that on Tuesday, May 1st Rick Campbell, a longtime manager will go from employee to owner of the Ice Cold Air® Discount Auto Repair at 730 NE 5th Street (Hwy 44) in Crystal River. Rick became the manager of our Crystal River location in November 2013 and originally was not interested in becoming the owner of the business. But year after year his loyal band of customers grew and he started to see the opportunity all around him. 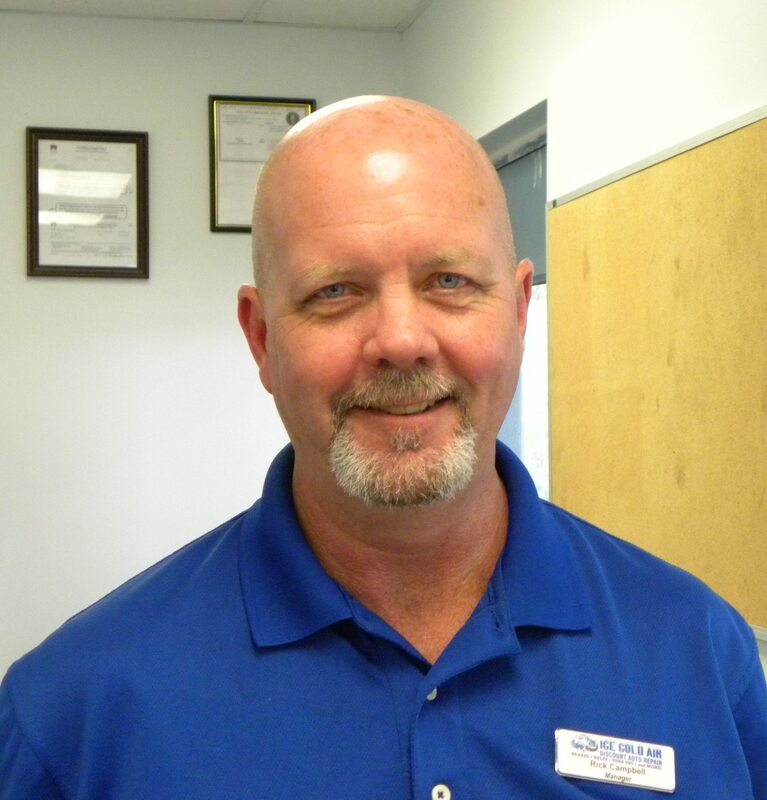 Rick has a lot of experience in the automotive repair industry. In fact, his family’s history in automotive goes all the way back to 1929! Rick has been a part of it for almost 35 years now. He has managed as many as 243 locations at once; several years ago he owned six of his own shops in Hernando & Citrus Counties that had his name on the building. However, life circumstances changed and he took an opportunity to recharge and refocus his energy on raising (at the time was) his young son and being a new granddad to his oldest’s new baby. He now has two grandkids and his youngest is almost a teenager.